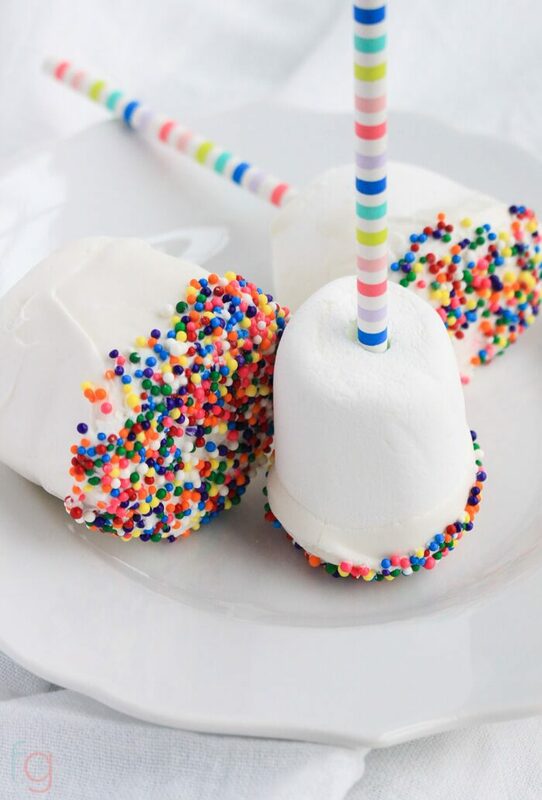 These sprinkle marshmallow pops are so simple! 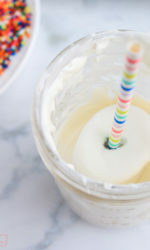 I love how colorful they are and you can totally customize them to fit any occasion (like baby/bridal showers) by simply using a different color scheme for the sprinkles and straws. 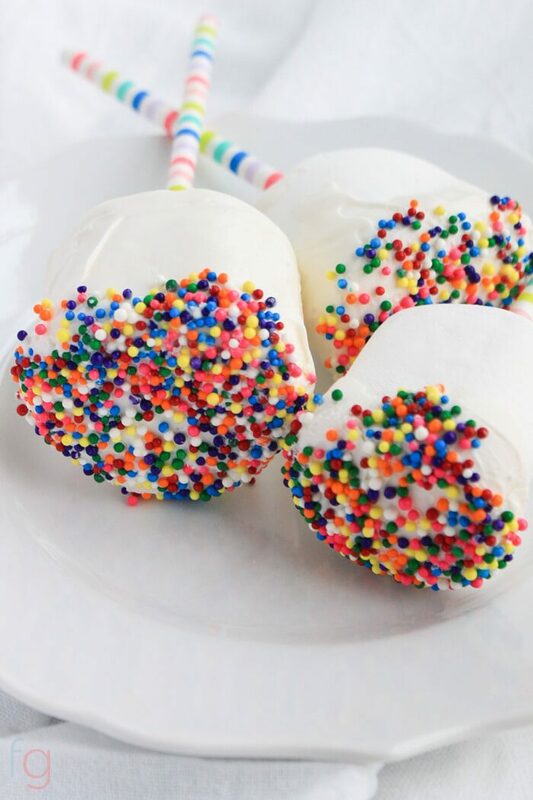 You have two options when making these sprinkle marshmallow pops – half dipping or creating a hard chocolate shell around the entire marshmallow. I prefer the full chocolate shells because the ratio of hard chocolate to mushy marshmallow is perfect. BUT this requires double the candy melts, so you’ll need two bags of candy melts if dipping them this way. 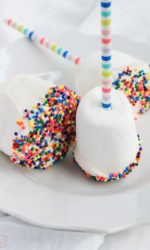 The recipe below is for half dipped marshmallow pops. 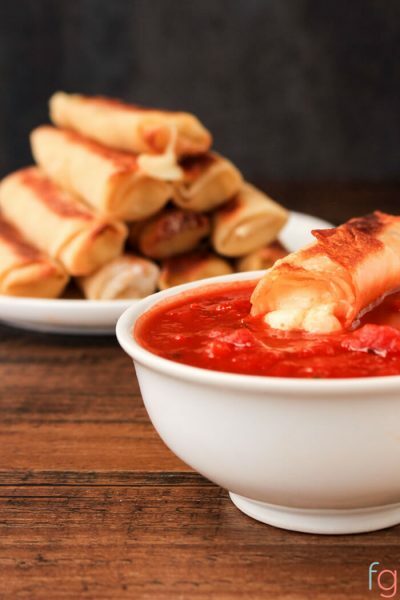 You’ll need an extra bag of candy melts and maybe a tiny bit more vegetable oil if you prefer to dip the entire marshmallow. Place marshmallows on a flat surface and firmly twist in the straw about 3/4 of the way. 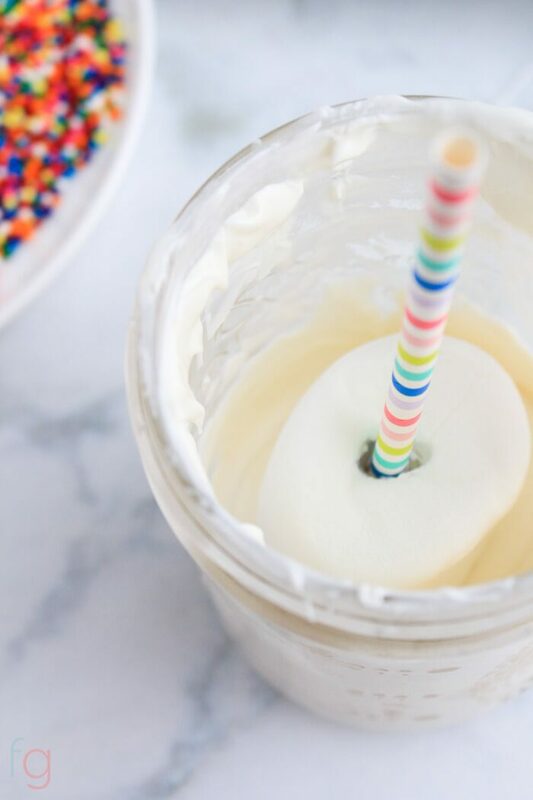 Pour candy melts and vegetable oil into a microwave-safe cup (makes dipping easier than a bowl) and microwave in 30 second increments, mixing each time, until fully melted (about 90 seconds). Let cool for about five minutes. Dip half of the marshmallow into the chocolate and let the excess drip off by twisting the marshmallow pop. Alternate method: Dip the entire marshmallow in the melted chocolate until you reach the base of the straw. Hold the pop horizontally (so the weight of the chocolate doesn’t loosen the grip) and let the excess drip off. Note: If using this method for all pops, you’ll need an additional bag of candy melts. Place on a parchment-lined surface to dry (straw side up) until tacky, but not completely dry. You’ll know it’s ready when it’s still wet, but no longer drips when you lift it off the parchment. 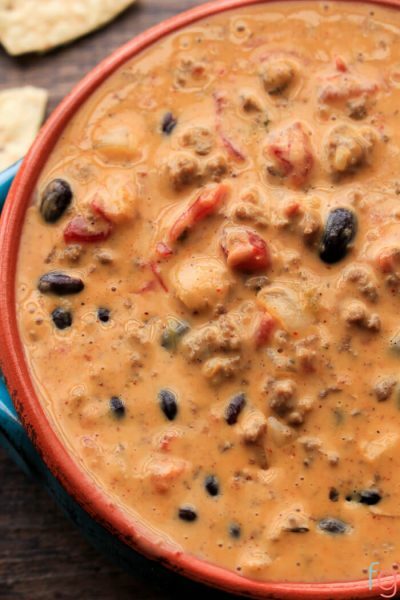 If you accidentally let them harden completely, I’ve included a tip for you after the recipe. 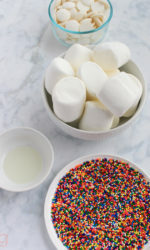 Firmly press bottom of marshmallows into a plate of sprinkles, being sure to roll sprinkles onto the bottom edges so some sprinkles are visible when marshmallows are flat. Allow to dry completely before serving. 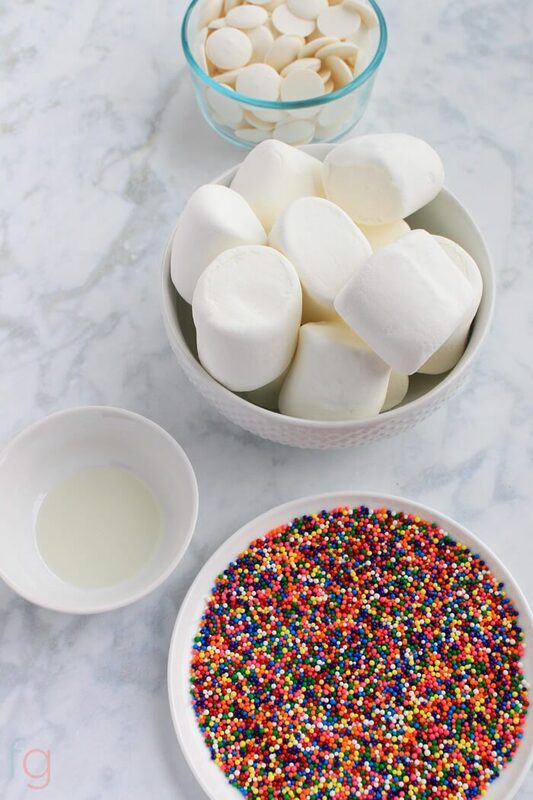 Tip: If marshmallows have dried before dipping into sprinkles, microwave water in a bowl until boiling, pour off water and dry off bowl. Then twist the marshmallow pop around the hot bowl to slightly melt the bottom of the marshmallow pop. 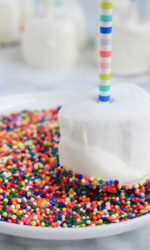 These simple sprinkle marshmallow pops are so easy to customize for any event. 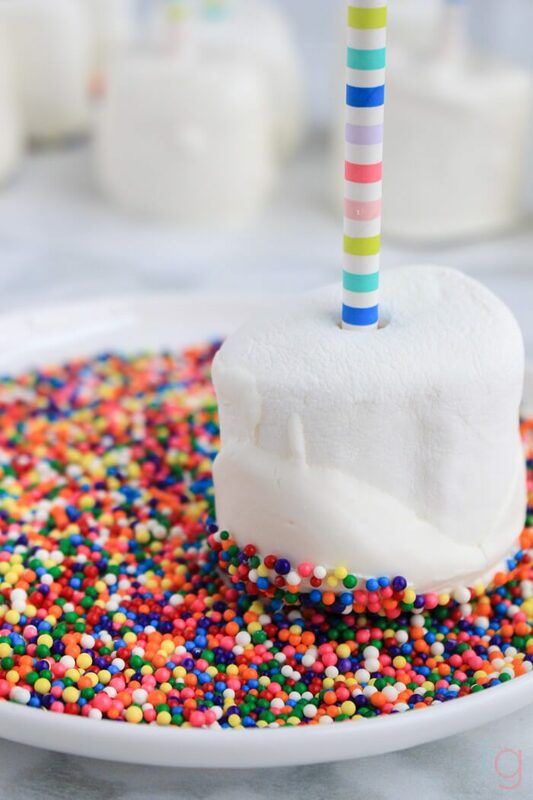 Simply use sprinkles or candy melts of a different color to match your event's theme! Place marshmallows on a flat surface and firmly twist in the straw about 3/4 of the way. Pour candy melts and vegetable oil into a microwave-safe cup and microwave in 30 second increments, mixing each time, until fully melted (about 90 seconds). Let cool for about five minutes. *Alternate method*: Dip the entire marshmallow in the melted chocolate until you reach the base of the straw. Hold the pop horizontally (so the weight of the chocolate doesn't loosen the grip) and let the excess drip off. Note: If using this method for all pops, you’ll need an additional bag of candy melts. Place on a parchment-lined surface to dry (straw side up) until tacky, but not completely dry. 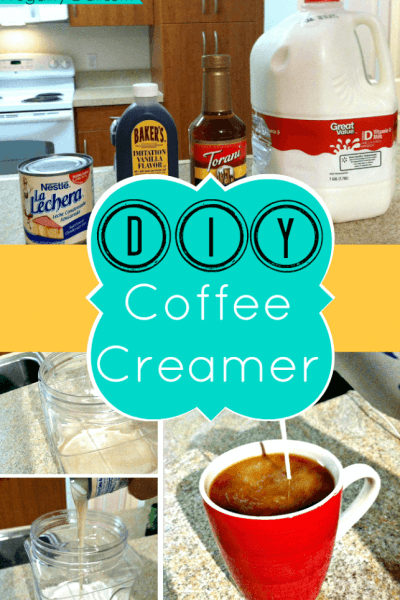 You’ll know it’s ready when it’s still wet, but no longer drips when you lift it off the parchment. 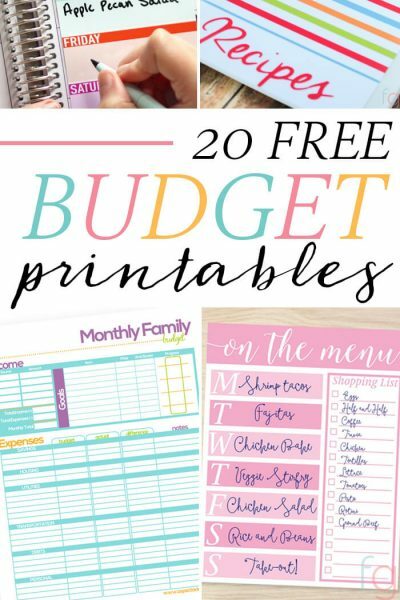 Can i make these days before the party? How long? How to store? 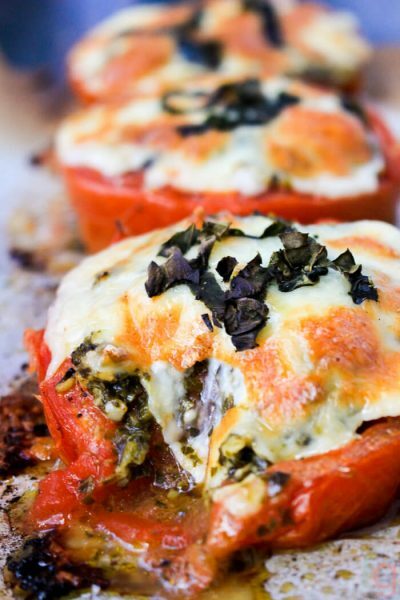 I have read all the way to the end to check comments as to whether these can be made the day before….